MS Outlook is a leading email client application used all over the world for communication via email messages. Beyond sending and receiving emails, the software can do lot of things like it could maintain contacts, allows you to create short notes, marking important calendar events etc. The app is far good from other email clients that are available in market and since it is developed by Microsoft Corporation, one can easily rely on it. Microsoft has released various versions of this app among them Outlook 2010 is one. This Outlook 2010 is a latest version and is quite amazing when compared with earlier versions; moreover it has been incorporated with bundles of trendy features. Despite of being so exceptional and advanced, sometimes even this Outlook 2010 fails to avoid losing contacts that have been saved in it. It is really a very serious issue and no one would like to bear this risk. Especially, the business personnel’s maintain huge number of contacts into their Outlook profile. They’ll really get ruined up, when those contacts suddenly get lost from their Outlook. There are number of reasons behind this extreme factor and the most noted reason of losing Outlook 2010 contacts is due to the corruption of PST file of Outlook. 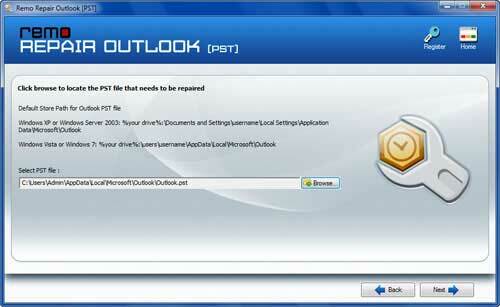 Yes, if Outlook 2010 PST file gets corrupted then contacts and other Outlook data will get lost. However, now there’s nothing to worry, since this issue can be tackled with a great ease. In other words, the lost contacts can be easily recovered and for doing that PST file should be repaired. 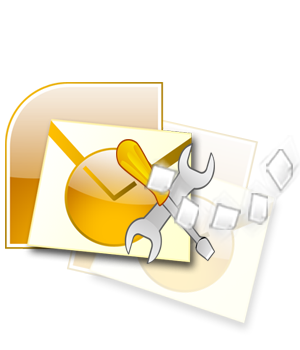 Once it is repaired you can easily recover all the contacts and other important data from Outlook PST file. 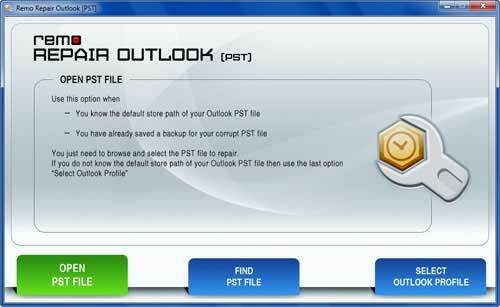 In order to repair the PST file of Outlook 2010, you have to make use of an optimum and best PST repair tool. Among various repair tools that are available in market, Remo Repair is highly influential. This is highly exceptional repair & recovery software, which first repairs the corrupted PST file and after that it recovers contacts and all other Outlook data in few moments. It could easily recover emails, notes, RSS feeds, appointments, calendar events, etc. This tool can even recover the contacts, even if they have been deleted mistakenly by you. Oversizing of PST file: PST file acts like database, it stores all the Outlook data in it. This PST file has some fixed storage limit and that limit depends on the Outlook version you are using. For Outlook 2010 , t is of 50GB. If data stored on PST file exceeds this storage limit, then the PST file gets oversized resulting in corruption. When it gets corrupted, you’ll lose all your important data including contacts. Errors While Compressing PST: PST file can be easily compressed and by that you can optimize the storage space on your hard drive. But during the compressions process, if some unexpected error takes place then PST file will get corrupt and you lose contacts and other data from it. Accidental Deletion: At times you may remove unessential contacts or any other un-required data from Outlook 2010. While removing, if you end up selecting important contacts unknowingly then those selected contacts will get deleted. Well, in all these cases you can make use of Remo Repair App and restore contacts in few simple clicks of computer mouse. Remo Repair software can easily recover Outlook 2010 contacts on all major versions of Windows operating systems including Windows 8, Windows XP, Win 7, Win Vista, Windows 2008 and Windows 2003. This application is free from all sorts of suspicious elements such as malignant programs and viruses. It is a user friendly software, which can be used without any assistance or special skills. In addition to Outlook 2010, this amazing tool is capable of recovering contacts from different versions of Outlook including MS Outlook 2000, 2003, 2007, 2013, etc. Remo Repair is a read only tool, which will just scan the corrupted PST file and creates new PST file from where you will be able to recover Outlook data. Use the demo version of this Remo Repair app and check out how it works. If you feel satisfied with it then buy its licensed version. 스텝1: Download and install the demo version of Remo Repair Outlook software to your Windows computer. Run the software and follow the main screen 스텝s. Click on “Open PST File” option to open your corrupt PST file, if you know its exact file location. Click on “Find PST File” option to search for your PST file or Use “Select Outlook Profile” option to choose a specific Outlook profile, if you have multiple accounts. 스텝 2: Choose the appropriate scanning method. At last, browse for the destination location and click on “Repair” button. 스텝 3: The tool starts repairing your PST file. After completion, the tool displays all Outlook lost Contacts and other elements such as notes, calendars, emails, attachments etc.